We carry some of the finest cabinets & countertops in Dundee and Lakeland, FL, so you can transform your kitchen into the perfect place for cooking, dining, and entertaining. Your kitchen shouldn’t just be a place where you make dinner every night; it should be a place where your family and friends can come together and truly enjoy each other’s company. At Jim’s Floor Depot, we carry some of the finest cabinets & countertops in Dundee and Lakeland, Florida, so you can transform your kitchen into the perfect place for cooking, dining, and entertaining. Corian Countertops – These countertops come in a wide array of color palettes to match the color scheme of any kitchen. Corian countertops are scratch and stain resistant and are not affected by sunlight or heat. Granite Countertops – Granite countertops are elegant and luxurious in appearance. Each granite slab is one-of-a-kind, and having granite countertops installed in your home can instantly add to its value. While you may think that new granite countertops will be out of your price range, we promise that we will do our best to install new granite countertops in your home for a price that works with your budget. Quartz Countertops – These countertops are relatively uniform in pattern. However, unlike granite, they are non-porous. This means that they do not require regular sealing and are virtually maintenance-free. 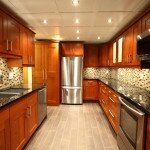 Custom Cabinets – Not every house is the same, and at Jim’s Floor Depot, we realize this. If you want to replace the existing cabinets in your kitchen, our custom cabinets will provide you with the space you need for all your kitchen gadgets and more. For more information on cabinets & countertops, contact us today!